We serve all the businesses across the globe, viz: USA, UK, Europe, Australia, New Zealand etc. APPSeCONNECT is a next-generation enterprise-level integration platform as a service (iPaaS) which connects SaaS, on-premise, cloud applications, data sources and technologies under one single platform. APPSeCONNECT delivers world-class connectors to help enterprises intelligently lead the way. It empowers businesses to leverage their existing systems, resources, technology, and data and seamlessly streamlines business operations, thus increasing productivity and efficiency. The team at InSync have been great to deal with the process of our new website integration. Pros: The integration of AppseConnect allowed us to have an open source platform of Woocommerce to talk to our Accounting Software SAP for our business. This allowed us to easily integrate our customer database and customer orders directly from our website to our accounting software and visa versa instantly with no manual process. The software is very intelligent and allows our individual product information to feed on our accounting software directly to our website. This means that when product information is changed in our account software, say the price and stock QTY's - our website is instantly updated. The team at Insync - especially my account manager Pratik, were very knowledgeable and even accommodated to custom integration we needed that went beyond standard scope. They have great communication and have been easy to deal with, explaining in detail the process of each task. Change requests were handled quickly, which was very nice and refreshing, especially from an overseas provider. They had so much patience with every new request that we needed and were available day and night and weekends as well. So general Support is on very high level. I would happily recommend the AppseConnect and the team at Insync, if you want a 3rd party to work on connecting your online website to your accounting system, especially when your accounting system does not offer a 'cloud' service. Cons: The software was a big expense to the total cost of the development to build our new site, however it is very intelligent and stops manual processes and human errors within the company structure; So in-turn we believe is is going to be worth the cost in the long term. The cloud portal has been a great help although we have had some internet browser related issues which were easily resolved quickly. Overall: The ability to integrate our e-commerce system to our Accounting System seamlessly. Our accounting system communicates to our website automatically and keeps our website up-to-date instantly. Pros: AeC has proven to be extremely capable of handling any and all requirements we have of it. We use it to sync our Magento web stores with multiple SAP B1 databases. We have a unique sales workflow within SAP, and initially I was concerned that what we needed from AeC might be too complicated and that we would have to make certain compromises. I am happy to say that there has not been a request that AeC could not fulfill. The AeC Sync Controller app has made syncing automatic, seamless and worry-free. It is also very simple to use, I can easily open the app to check system status and see a detailed sync log. I am a relatively new user to both Magento and SAP B1, but it has been really easy to understand how to use and monitor the syncing with AeC. The team at InSync have been incredibly helpful and responsive throughout the entire configuration and implementation process. Any questions I have had have been answered promptly and thoroughly. I'm very happy with the level of customer service we have received. They are kind, knowledgable, and always make sure our needs are taken care of. Cons: Honestly, any issues I have encountered with our Magento SAP B1 syncing have been the result of occasional problems with our internal server and SAP configuration. AeC itself has not been the cause of any trouble and it fairly reliably does what it is supposed to do. Pros: We are a growing manufacturing company in the organic food sector and have a limited IT department. The staff at InSync was extremely supportive through the entire process. They not only assisted with the conceptualization of the process, but were super quick to respond to issues and troubleshoot errors that came up during testing. Their service was excellent throughout this project and they were more than willing to take extended time to train those of us who were not that IT inclined. They were also very open and willing to follow up on amendments to the original project without constantly renegotiating - which helped keep the project on course, even if we hit a bump in the road. All our questions were answered and InSync made sure we had the support we required at every turn. App is easy/user-friendly to use and maintain after implementation. Would work with them again. Cons: We thought that being in North America would be problematic for communication, but this ended up being not as great of a con as we thought. We still received excellent customer service. Overall: Our website's Magento platform is now connected to our SAP, which is also connected to our third party logistics so the process of receiving and invoicing orders is completely automated and is saving us a lot of time we would normally have put into data entry. The very best for your Money and TOP notch Support ALWAYS! Pros: Being an IT manager one of the most important key elements is having proper and immediate Support. I were one the first trusting this company and their Sync software, and nowadays I am still convinced is the TOP leading industry in sync ERP with your ecom universe applications. Support is always there, no matter what time of the day, they always there. Only good words for this dedicated team of experts. Cons: Honestly, I would say, NOTHING! They are always open to introduce new features, and solve day to day problems, and allow your business grow, no matter what your needs are. Overall: I helped my customers to integrate SAP Business One with Magento, since back in 2011. Since then, I always rely on Insync and their Sync applications. Some of our customers are generating a BIG amount of money and orders selling Online, and Insync always On top of daily issue that could arise, while making the App even stronger. GOOD JOB!! If you are looking for the very best for your sync needs...look no further! Pros: We have been using the product for several years, and it has been extremely reliable. The team has worked with us to make the software fit our needs perfectly. The best thing I can say about it is that I don't have to think about it. After the initial setup, the syncing between multiple websites and multiple platforms and SAP B1 just works. The team is responsive, and very helpful when it comes to customization requests, training, and setup. Cons: We have had a few instances where I would have liked the error messaging to be a bit more informative, but these instances have been few and far between. Overall: We have used this product to sync sales orders, customers, shipping info, and inventory between multiple sites and SAP. This has saved us untold hours of data entry and allowed us to focus on marketing, product design, and strengthening customer relationships. Pros: Works as intended, with required functionality all present. Team at InSync is able to customize the software behaviour to anything we need (as long as functionality exists in Magento in the first place, which is a limitation that makes perfect sense). Scheduled activations of the software allow us to synchronize our website with our ERP almost in real time. Even with the time difference, team at InSync makes time to meet during North American office hours, and responds to queries and support tickets overnight most of the time, which is much appreciated. Cons: User interface of the software takes getting used to, and does not seem perfectly optimized for ease of understanding, even though the required functionality exists. On the off chance an error occurs, the error messages are not easily understood by non-developers, or indeed anyone outside of the InSync team. There were some rare instances of difficulties reaching the team, especially in last minute situations, although that is only to be expected given the geographical and time differences. Overall: A much required link between our ERP and our website. Works honestly and intended. Pros: Accomplishes the Goals Required. NAV > EBAY : Tracking No. Cons: Setup took a longer than anticipated time, possibly due to our unique position in the newly formed ebay.motors, which was an entirely new API structure than normal ebay.com. Some functionality seems limited, we've had to create many custom fields directly on the Item Card, instead of allowing APPSeConnect to read dynamically from related tables. Overall: We are using APPSeConnect in a very limited fashion, as a way to tie our Navision 2013 system to ebay api. This allows ebay orders/customers to sync into our NAV system, and inventory/pricing/tracking/shipping information to sync back to ebay, leaving us more time to focus on non-data entry tasks. Recommendations to other buyers: It's a good product, the team that is assigned to you works long hours, and their fees are all upfront. If it takes them 20 hours to integrate, or 200 hours, the integration fee is the same. And it is reasonably priced for the functionality provided, so it's a good investment if you're looking for some level of automation between compatible software. Overall: Great application.Helped Swann Communications to increase sales in eBay & Amazon with effectiveness. We are currently top rated sellers on eBay because of APPSeCONNECT fantastic efforts throughout . Our late shipment rate is 1 order out of almost 2500 orders . That is unbelievable! We are projected to be Top rated as well in 2017 because of APPSeCONNECT. Also for amazon marketplace, our late shipment rate for January is only 1% while our valid on time tracking rate is almost 97% ! Due to these scores, we were able to exceed our sales budget because customers receive good customer service from us and receive their orders in perfect condition and on time , they have left us amazing feedback that has prompted others to buy. Thank you InSync for all the support and continued effort to make eBay and Amazon Marketplace such strong and growing accounts. Pros: Firstly, I'm not part of the IT Dept. at our company. I work in Sales and Customer Service. So, that being said I have a different approach to reviewing software/hardware than others. What I like most is that the software is easy for me and my team to use. We have an extremely customized version of SAP B1 and I'm happy to say that issues are minimal when syncing to MAGENTO. Any issues that do come up are handled so quickly by the Customer Support at APPSeCONNECT. Cons: At this point, there's nothing that I can complain about. We've been utilizing APPSeCONNECT for at least 6 years....and it works just fine! Overall: The team provides fantastic Customer Support when needed! That's a big plus for my team! Pros: We use APPSeCONNECT for about 3 years. 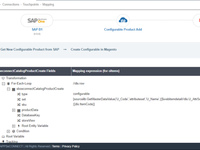 It connects Magento and SAP. Due to complexity of our requirements and many touch points there were some challenges in implementation stage, but they were successfully resolved. During these years we've seen a huge improvement in application and dedicate teamwork of the customer support. Very easy to use and monitor dataflow. Cons: Some issues resolution was delayed due to significantly different time zone but APPSeCONNECT now extended support hours to accommodate US time zone. Overall: Overall a great experience, knowledgeable support team, and very flexible application that can hold very complex requirements. Pros: It has a simple logic and works! Out of the box features and functionality are generally sufficient but they can be customized to fit the exact requirements at an affordable cost by a team that know their product very well inside out. Cons: On occasions when a transaction fails to sync (e.g. when one system passes invalid data to the other system and APPSeCONNECT can not process that for the right reason), the error message generated by APPSeCONNECT is not very clear or easy to follow. The provided detail seems to be intended for the developers and not the end user. I'd include additional details in a more structured format to enable the end user to investigate the issue further. Overall: This is a much required integration tool that we couldn't live without. Pros: Every product has something to say apart from fulfiling the need. APPSeConnect is a product of teamwork, dedication, continuous improvement and excellent painless 24X7 support. We have SAP B1 taking to Magento, their seamless integration is not less than a happy married life. Cons: In the early phase of implementation we had many glitches due to various reason which includes getting inSync with each other, customization required to meet our specific business need and little bit of resistance from both end. Web Item Master is something which needs a major overhaul. Pros: In depth knowledge of Magento and SAP from the implementation team helped us out greatly in our customization with SAP and Magento. APPSeCONNECT is a serious company that can be trusted to carry out complex projects. Even with many unforeseen integration problems, they will deliver as promised. In Latin America, e-commerce is just beginning and there was not much know-how locally to implement a project of such complexity. APPSeCONNECT's solution has helped us stay way ahead of our competition in delivering high value to our customers. Ease of use and response time of the solution were paramount for us and APPSeCONNEC nailed it! Just a few months gong live, we already have very positive reviews from our customer base regarding the solution. Cons: Longer than foreseen implementation time in part due to Magento version upgrade to 2.0 in the middle of the project and project gaps identified during implementation. Project execution on their side can improve especially in quality testing phase. We found repetitive errors that had been resolved previously which emerged again in quality and production environments. Overall: Improved customer satisfaction and company productivity. A definite business enabler. An interesting and thought provoking project with a very capable and helpful implementation team. Pros: AppsEconnect automates many manual processes thereby saving time and allowing for scaling. 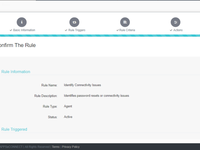 Customization of touchpoints allows for management of unique ERP system processes and information specific to your organization. Sync panel points out where integration of AppsEconnect and your own system platforms are and aren't working thereby allowing you to address issues that arise. Implementation team was very willing to go the extra mile to help resolve any issues. Cons: The very nature of a connector means that it is between one platform and another. When implementing this project every implication of set up and system processes have to be considered carefully. When dealing with a Shopify web store, AppsEconnect, SAP B1 ERP system, Credit card and Paypal payments you have created a matrix of platforms that need to be navigated and reconciled to make sure your system is doing what you want it to do. AppsEconnect will not correct or make up for limitations in your own ERP or Online store configuration, processes or information. This is where customization comes into play. Overall: Automation of processes and better understanding of connectors and integration of systems. Great experience with the team who has been helpful and responsive through put the project. Pros: Had been sourcing for solution to sync data between two platform for my company and came across reviews on this company. Decided to try out their services and really didn't disappoint me. Due to big differences in how the two platform works, their programme had to be manipulated to sync successfully. In the progress, samrat team was attentive to my explaination on the requirements and needs. Thereafter, they work on it really fast as well as fully customized to my request without arguements thus solving my problems in highly professional and experienced way. Very amazed and happy with the team. Cons: No big issues or problems were encountered through out the implementation and progress of the project. Perhaps only slightly disadvantageous was our location. We are based in different country therefore there was slight time different. Otherwise I believed samrat and his team could had completed the solution for me even faster. Overall: Syncing of complex enterprise data between two system for my company. * Complicated customization is feasible and the price is reasonable. * The performance of the apps is good. Cons: * UI is kind of complicated. * UI flow is not intuitive as well. Overall: APPSeCONNECT helps us connecting our online store to our ERP system. The overall experience is great. The service does save us from spending a lot of time syncing data between selling platform and ERP. The desktop app is kind of complicated but works well. You might need to have some basic IT knowledge to operate the app. The customer service is excellent. Technique support used to anwser our question in 24 hours. A wonderful experience, working with the inSync team was and is great. Pros: The software is very well designed and performs its function perfectly, in implementations there are always barriers, in sap B1 we had many barriers due to complex scenario raised, but here comes the best of the product, the support, the inSync team is always the willingness to resolve and help in all needs, you could say that in my experience they are available 24/7, they broke all barriers, and everything was done as required. Another strong point is the friendliness of the interface and all the easy and great functions, manual and automatic synchronizations, from the cloud or local. Cons: The developers have to work a bit more with the add-on for the latest version of SAP B1 and should not ask what you want to install, they should install and configure the complete out of the box package even if you will not use all the functions. We had a very complex integration that ended up spanning over 2 years before going live last month. Pros: The best thing about this software is that it allows us to increase our capacity of orders that we can handle daily by eliminating the manual process for our customer service & accounting department and simplifying and expediting the steps of getting the orders from our customers to our warehouse and out the door for delivery! With this integration we were able to take a lot of the workload off of our internal team and allow for the orders to flow more seamlessly from customer to delivery. Cons: It was somewhat challenging to test and make sure that all of the necessary customizations and modifications were in place in order to accommodate all of our data. There is also a little limitation in the notifications if there is an issue with the sync. They are working to develop a solution to this, but for now having to manually check daily to make sure there are no issues is a process that we would like to eliminate. Pros: The team over at APPSeCONNECT was very pleasant to work with and was able to integrate our B1 Build to our Shipstation platform. The APPSeCONNECT team was very quick to respond to changes in direction and always handled these changes as a priority. They were able to handle multiple touch points across all aspects of our ERP and was able to recommend best practice during our implementation and integration. Overall great experience with a knowledgeable and friendly team. Overall: Quick turn time, easy hands off implementation, good value for service. Pros: It works and works as was described to me in our initial meeting. I have tried several programs and they are not as good as this one. Cons: There is not a great notification system when it comes to errors. I can't get real time error warnings. I can live with it though. Overall: This was a very painless integration. While it took some time, they got it right and I would rather have something that works like described at the end versus being disappointed with something that was fast. It does what we want it to do. Excellent team which guides me through all steps to from intro to roll out perfectly thumbs up guys! Pros: The software has provided a solution to our teams challenge data sharing between Zoho CRM and SAP BP1. #1 pro is that is runs in the background, with little to no human intervention. Cons: Its dependents on API from Zoho limits its functionality. We have territories in our Zoho CRM and some data isnt meant to be synced with SAP BP1, but there is no solution to this. Hope we can get a solution in the future. Overall: Solved our integration problem, period! Overall: Our Magento to SAP database is integral for our website sales. This application saves us hundreds of man hours. AppSeConnect works great and overall experience is excellent. Pros: With AppSeConnect, we are able to sync data between Magento and SAP B1 seamlessly and effortlessly. AppSeConnect has the real time sync and also is flexibility and ease of use. Cons: It would be great if InSync team could provide support Monday - Friday 9:00am to 4:00pm Eastern time. We contracted with APPSeCONNECT to handle an integration of a WooCommerce website and SAP B1. Pros: The software takes the overhead of tying two systems (e-commerce & ERP) together, which can be a costly and time consuming endeavor. Our project manager was very responsive and solutions orientated during the setup/development phase of the project. Change requests were handled quickly, which was very nice. Cons: There were mistakes made from the start of the project that lead to additional cost that was unanticipated. APPSeCONNECT was very strict on starting the project without payment, even though there were mistakes made on their end. The annualized cost is due upfront, in addition to an implementation fee that is not made very clear at the outset, which is painful. It would be preferred that all the costs are built into one monthly payment. The Trial Period is also sold as more than it actually is. We were under the impression that all the features and functionality would be demo-ed in the trial period - which is not the case. Only one touchpoint is wired up for the trial period, which doesn't allow much testing at all. Also, the cloud portal has had some internet browser related issues that keep certain buttons from rendering. "Brilliant product - that saves us a lot of time... and Money." 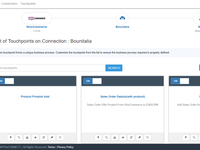 Pros: InSync have helped us build a connection between our ERP system SAP Buisness One and Magento, the platform who runs our e-commerce store, using APPSeCONNECT. The integration worked quite good from the beginning. InSync had to make some changes in the connection regarding to our Companys order structure and some other Swedish rules and they did it in no time. The team have done a great job all over the project and they have really been there for us. Cons: We had some Stock issues right when we started using the connection. But InSync then made a manual stock update between Magento and SAP and after that everything have worked just fine. Overall: It saves us a lots of working hours because we don't need to write in the Orders in SAP manually, anymore. Pros: How automated it is and the freedom to customize it to our needs. Cons: The interface of the agent could be a little more intuitive. Overall: The Appseconnect software has helped our business grow by making it more automated. Despite some issues, we always receive good support. Pros: The software has enabled a very time consuming process to just a click of the mouse. We can now take orders until late and still get next day delivery to our customers. We caused all of the delay in completing this project in a timely fashion. Despite time zone differences the Insync team were there till late at night to help complete the project before the Holiday Season. Cons: The App works great but make sure you get your SAP processes in place before starting the process with APPseCoNNECT this will save time on all sides. Overall: We can take orders for next day delivery right to the end of day. Connecting real time stock levels to reduce backorders. Reduce stock levels freeing capital to invest in other areas. Pros: With the help of the implementation team, the product is highly customizable. Cons: We need the help of the implementation team in order to customize the software. Pros: The team at InSync have delivered a flawless APPSeCONNECT integration between SAP Business One ERP and Shopify in a time crunched environment. The Implementation has been a dream, with a fantastic team of developers through to account managers we really couldn't ask for any more - responsive, great depth of system and process knowledge and entirely customer focused... the team went the extra mile on all points. The integration is well architectured and simple to interact with. Our integration required a level of customisation which we were supported well by InSync to define and was delivered simply and quickly. Pros: The product is easy to work with. Through out the process, AppseConnect was very accommodating of our specific requests and delivered solutions to all of our procedures: order download, new Item uploads, item updates upload, tracking number upload, inventory updates. Cons: Due to our SAP B1 being on a shared environment access to HANA Studio and other tools was limited, added to that the time difference which resulted in delays in the project. However, the team never lost the spirit and overcame all the hurdles. Overall: Overall it was a very good experience, the AppseConnect team worked really hard to bring this project to life and the final result is what we expected. Cons: Few things which came into issues while accessing are Drag & Drop Interface, Real Time Updates & Third Party Integration. A simple and efficient application, implemented by a very pleasant team of people. 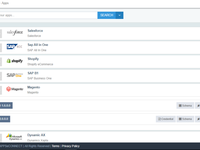 Pros: We used the APPSeCONNECT software to integrate our Shopify platform with SAP B1. Despite both Shopify and SAP B1 having a number of restrictions in place, this software and the team at InSync managed to implement an application that is easy to use and helps to reduce the level of human input required to fulfill our orders. Cons: Overall the product has a number of pros but one area that could be improved is the interface of the application. Unfortunately when a syncing issue is experienced there is very little detail provided in the interface to understand the root cause of the issue. It is a good tool to keep your data synchronized, If I need help, they are always there to help. Cons: It is not so easy to detect the error when they do not synchronize things correctly, because many times the log is not very clear. 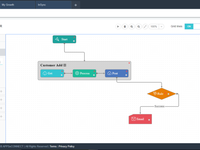 Pros: Sound and well-architected integration platform to connect Shopify with SAP B1. Great implementation team - responsive, smart, customer focused - and a pleasure to work with. Our environment required some customizations which the team and platform were able to handle. Cons: Would like to see more robustness in the connector scheduling and reporting capabilities, but my requests are already on the roadmap for an upcoming release. Pros: The process of this software is easy to understand even if for those who are not integration specialists. Field mapping architecture and over all integration to Navision is flexible and does not compromise core ERP. Cons: Shopify API limits brings some challenges for the syncer. Also the syncer module could be better optimized regarding to CPU usage. Although this module should not be running until you have to do some monitoring or configurations. Overall: Fast and flexible implementatiton. Value for money. Pros: Easy to use , connects perfectly with old versions of Magento like 1.9 (the one that I use) and helps me sync my online inventory with different warehouses. Additionally, we currently have specific requirements as a Mexican company , and all the information that we need to sync from magento to SAP has been posible to obtain it with this tool. Cons: having a tool to connect through a cloud access would be nice so we could manage the connector from anywhere. Pros: Easiness use and set up parameters to run sync. Pros: I appreciated the flexibility and completeness of the software, the ability to solve synchronization problems. Cons: I have nothing that I don't like, the software is very complete. Overall: I discovered the software on Google, I needed to connect SAP with Magento. The project is still under development, but the availability and competence with which they are following me is fantastic. They never fail to update me or to make calls to progress in the project. Pros: Easy in use interface between Shopify & Dynamics NAV; does what it have to do. Good communication & support during the implementation. Cons: It would be nice to have an error notification, we now need to check manually at logfiles or live orders to see if any errors. Comments: We were looking for a software to integrate our online store, using Shopify, with our ERP SAP B1. We just went live with our store, and we are very happy. I loved working this project from start to finish. It is easy to use and we administrate our business from just one end: Orders, Invoices, Incoming Payments and Inventory are all synced in real time. The team, was amazing. Patient, understanding and a blast to work with. Cons: I miss more options to import old data and to force sync specific items. It would be nice with an option to force sync an order with a specific order number for instance. Overall: Saves a lot of time from doing things manually. The staff at APPSeCONNECT were extremely helpful in resolving any issues that arose. Pros: The integration to SAP will save us countless hours in order processing. This will save our company money and time. Cons: There is some technical knowledge need to get the most out of APPSeCONNECT. This technical knowledge can be somewhat difficult without an understanding of the SAP processes. Overall: This will save us time and money. Pros: Product does what basic integration intends to do and is backed with a wonderful support team. Team has always been available, even on a non working day. Cons: Lacks monitoring mechanism which is being developed by team and expect to see in next release. Overall: Had tough time in initial phase of implementation but integration got streamlined with support team's dedication. Quick implementation, good communication from Insync. Pros: The software eliminates need for manual processing which saves time and potential errors. Despite time zone differences Insync responded to implementation issues quickly and communication was good. Early indications are that the product works as expected.